Coming up on its’ one-year anniversary 757Pitch shows no evidence of slowing down. To celebrate starting at 5:30 PM on March 20, 2018 – 757Pitch will host its’ sixth competition at 1701, Virginia Beach’s first collaborative co-working space. Open and free to the public – five teams will take the floor. This round promises an exceptionally rich assortment of some of Hampton Roads best business ideas. Which one of these fine competitors will take home the title of 757Pitch champion and the opportunity to accelerate their idea to success? 757byAir – Elevating Aerial Photography! Serving all of Hampton Roads and the Outer Banks for all your Aerial Photography needs. Full Belly Delights – The foremost gourmet retailer specializes in handcrafted bacon treats and desserts. Greek Global – Connecting and supporting the Greek World of fraternities and sororities. 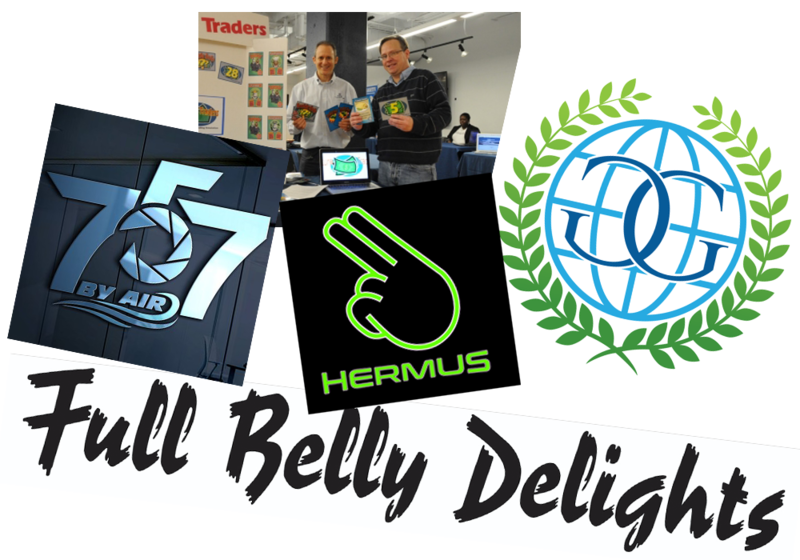 Hermus – Maker of the innovative Hermus app an ASL tutoring platform. Where you connect with tutors/students and have real live video sessions. Future Traders – An interactive game that incorporates the complexities and language of a market like the New York Stock Exchange into an exciting, interactive pastime. Thanks to the Old Dominion University (ODU) Strome Entrepreneurial Center, ODU Center for Enterprise Innovation, Startwheel, and the ODU Innovation Center – 757Pitch has become Hampton Roads, Virginia’s premier bi-monthly open competition for new, high-growth business ideas. Each competition hosts five teams who are given 7 minutes to pitch time to a panel of judges. In this “winner takes all” competition, the winner is awarded $757 and access to the resources of the Old Dominion University Center for Enterprise Innovation to help develop their idea into a marketable solution, and turn that solution into a sustainable business. Previous: Previous post: The Winning Pitch – Trusolutions Takes Home the Prize! Next: Next post: Full Belly Delights, LLC Takes Home the Bacon!